If you are like me, you need to need activities that get you out of the house in the long gray winter months of Michiana. Below are some fun places to get out of the house and enjoy Michiana without breaking the bank on gas or admission. Almost all of them are indoor activities that can be done no matter what the weather. *South Bend Museums with kid's attractions for FREE. Passes for up to 10 people can be checked out from the Downtown South Bend Library if you have a St Joseph Library card. for The History Museum, Studebaker Museum, Fernwood Botanical Garden (Buchanan, MI), and Health works! There are only a few passes for each day, so you are not guaranteed a pass, but it is worth a try! You must keep the receipt with them to get into the museum, and return them the next day by closing or there is a $6 free. Even without the pass, these museums are reasonably priced for a day out. Kids First Children's Museum at The History Museum*. The Kid's First Children's Museum is in the Lower Level of the Center for History. 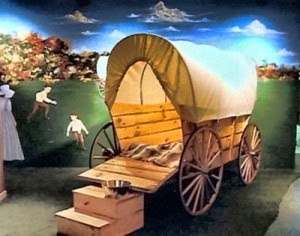 It has a covered wagon, one room school room, and a trading post where kids can learn about pioneer life in a hands-on way. Studebaker Museum*. This is a great car museum with real examples of the history of Studebaker vehicles, starting at horse drawn carriages up to modern day cars. My boys especially loved the kid's play area, Studebaker Service Center, that included a mechanic shop with car their size and tools to fix it (play is geared towards ages 3 to 10). Potawatomi Conservatories If you want to feel some heat during the cold Michians Winters, make a visit to this beautiful conservatory full of plants from around the world. Admission for Botanical Society of South Bend members is free. Adults $3 and children 3-14 years old $2. Under 3 free. Trip Tip- Play "I-Spy' with the plants, and bring paper and colored pencils to draw what you see. Debartlo Center for the Performing Arts . There is a wide variety of music and performances that can range for many ages and prices. South Bend Museum of Art. A beautiful art museum next to the St Joseph River East Race that also include Free Family Days throughout the year. Snite Museum of Art- Notre Dame Campus. Admission is FREE and open to the public Art Museum on Notre Dame campus. Check site for hours and family events during school breaks. We like to visit the museum, then walk about campus lakes if it is a nice day! South Bend Chocolate Factory Museum. 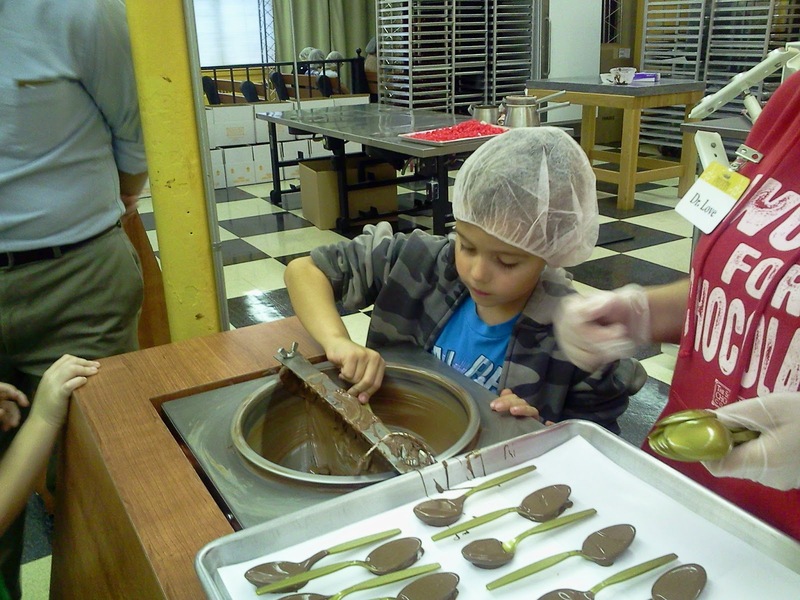 FREE 20 minute basic tours of how they make chocolate at the top of the hour, Mon- Fri 9am to 4pm. 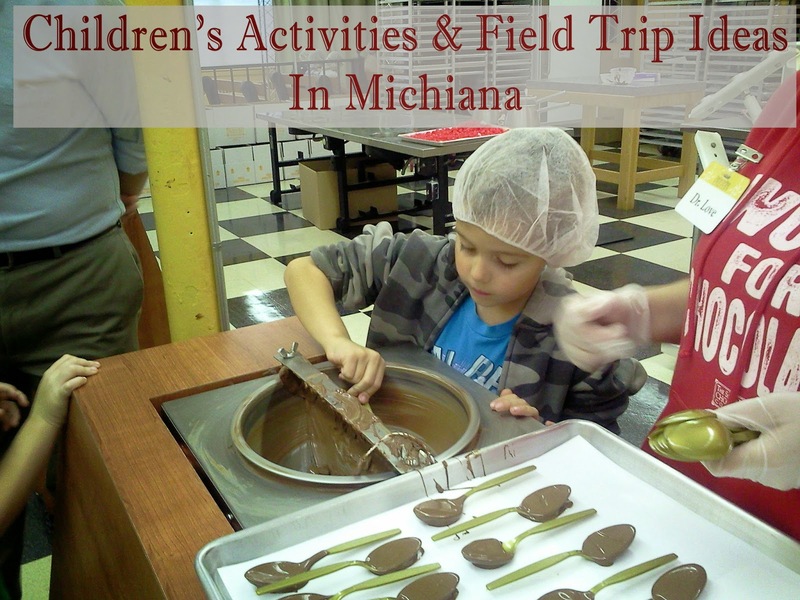 You can also take 45 minute tour which included making your own chocolate covered spoon, for $4 for an adult and $1. Rum Village Nature Center. This park features walking trails, playground, and an interactive free nature center. The nature center features a bee hive for observation and fun educational activities for the kids. The Wildlife Viewing Room is a wall of glass to view the birds and squirrels eating outside. Kroc Center If you are not a member , you can purchase a day pass to spend the day in the water park, fitness center, or play int he Gym for a fraction of what you'd pay at a water-park. We did this last February and it was well worth the $26 we paid for our family of 4 to have several hours in the slides, pool, hot tub, and lazy river. Rock Wall and drop-in fitness class can be added to your day-pass for only $5 more per person. If you are a homeschooling family, check out The Kroc's Home-school U classes, featuring Gym/Health/Swim/Music. My kids already love the library, but if you don't live in South Bend and want to change it up a bit, drive downtown and experience reading in a train car. If you worry about returning books on time, don't fear because all South Bend library books can be returned to a PHM library box, and vice versa. Bendix Woods Nature Center. Very interactive and fun free nature center, complete with live beehive and crawl through tunnel of underground animals. Open Swim at Penn High School Penn High School opens their pool in the evening to families for a small fee for the school year. Hannah Lindahl Children's Museum Featuring interactive displays. They ask for groups of six or more to call ahead for time to visit. 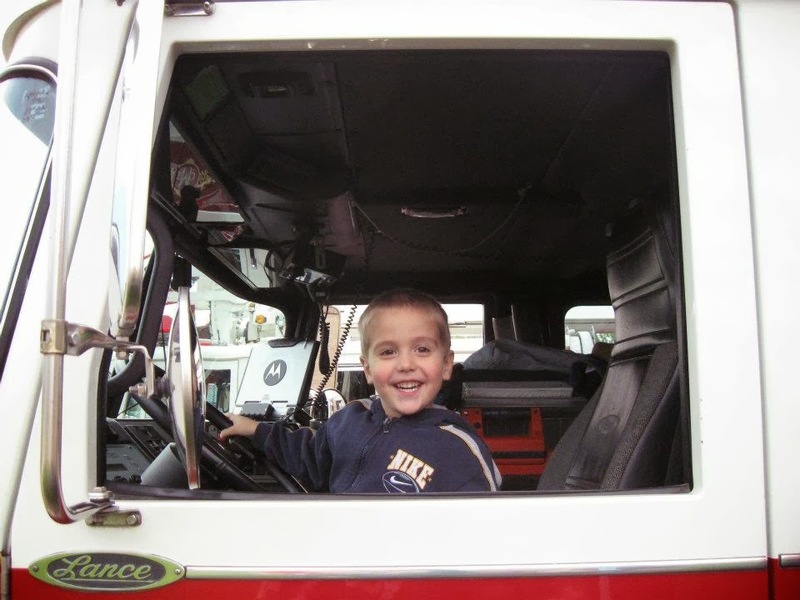 Fire Station Field Trip-While most any fire-station will welcome the public for a tour, Station #3 in Mishawaka is practiced at group tours, located next to the St. Joseph Hospital. I called ahead for a time, and invited two other homeschool families. They gave us a great tour , including with the kids climbing in the truck and demonstration of turnout gear. They also provided fire station goodies for the kids. House of Bounce Fun Center. An indoor bounce house, check their facebook page for up to date hours and admission. Ethos Science Center This field trip costs a little more, but is well worth it. 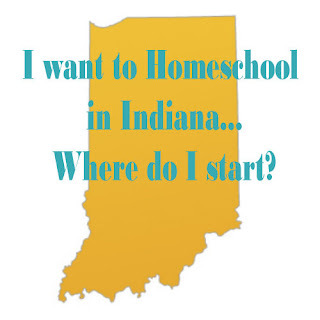 Check their site out for family evening programs, homeschool classes, and robotics programs! New York Central Railroad Museum A fun train museum with history of trains and some interactive models. Adults are only $5 and children $4 (3 and under are free) . They have an outdoor train ride included in admission, NIBCO Express, that runs on Saturday at 11 a.m., 1 p.m. and 3 p.m. and on Sunday at 1 p.m. and 3 p.m.? Midwest Museum of American Art- Art museum in Downtown Elkhart featuring 19th and 20th century artists, with programs though out the year for families and children. Osolo Fire Station- The are ready and practiced for group ours and field trips, most appreciate you calling ahead for times. They have a great variety of trucks for the kids to explore. 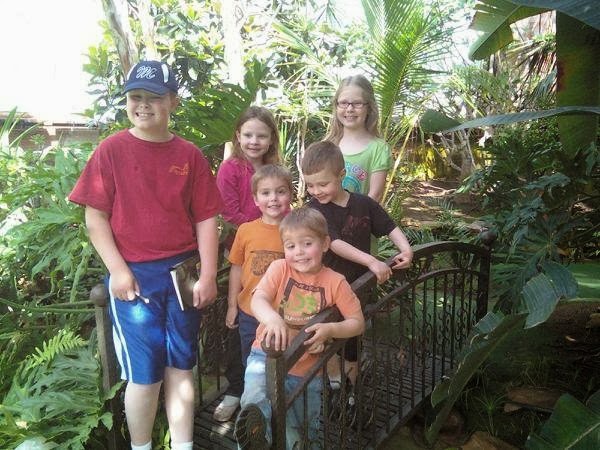 Ox Bow County Park- Features a Museum and Monthly programs offered for children. Woodlawn Nature Center. 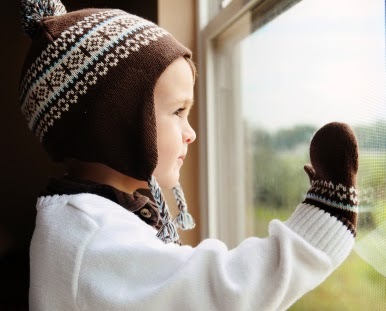 This is an indoor and outdoor activity that could be done in nicer weather. "Woodlawn Nature Center is a small museum of natural history with 10 acres of woodland located in the heart Elkhart Indiana. The park is a sanctuary for native flora and fauna. Both the park and museum offer educational opportunities, hiking trails, and an outdoor picnic area. " Fernwood Botancial Garden*- Only 20 minutes north of South Bend, you can also obtain free pass to his garden from the South Bend Library. Very child friendly!!! Curious Kids and Discovery Center. St. Joseph Michigan, it is a completely interactive kid's museum. It is also located across from Silver Beach, and has a beautiful view of lake Michigan. I am told there is an indoor carousel next door to the Discovery Center. Air Zoo his is a bit of a farther drive, but if you want to car pool and make a day of it, it is worth the drive. Thank you for using affliate links, you keep this blog open at not extra cost to you! 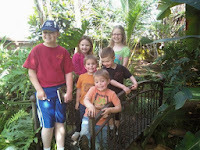 We also really enjoy going to Fernwood Botanical Gardens in Buchanan. We are on the north side of SB and it only takes about 20 min max to get there. Thanks for this list! It's really helpful! You should add the Art Museum at Notre Dame. Thank you Gail, I added it!